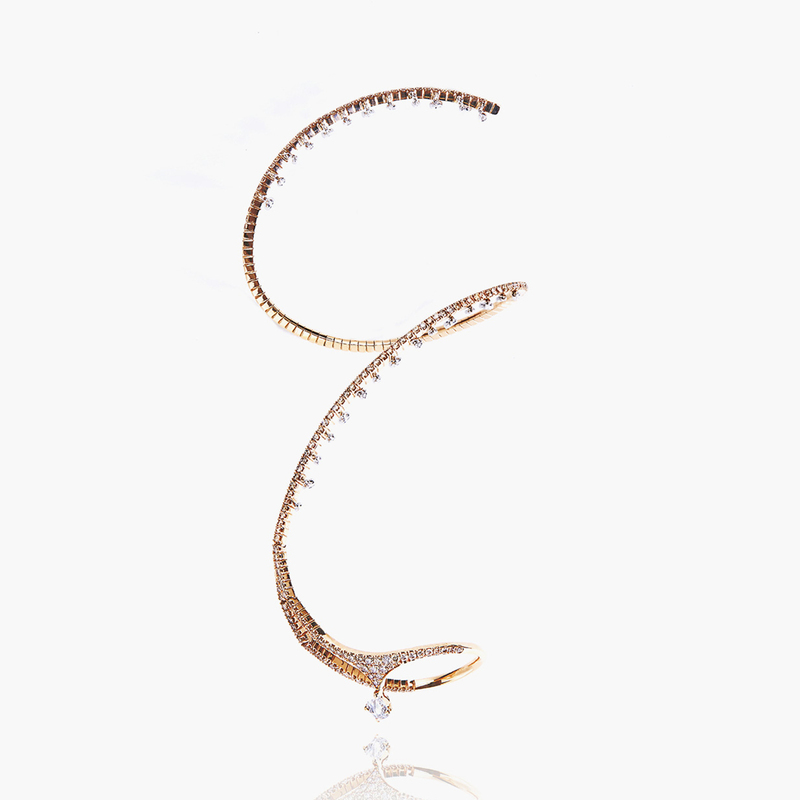 This delicate display of brown diamonds, rose gold, and droplets drape the ear, elongating it in a cascading manifestation of aesthetics and artistry. 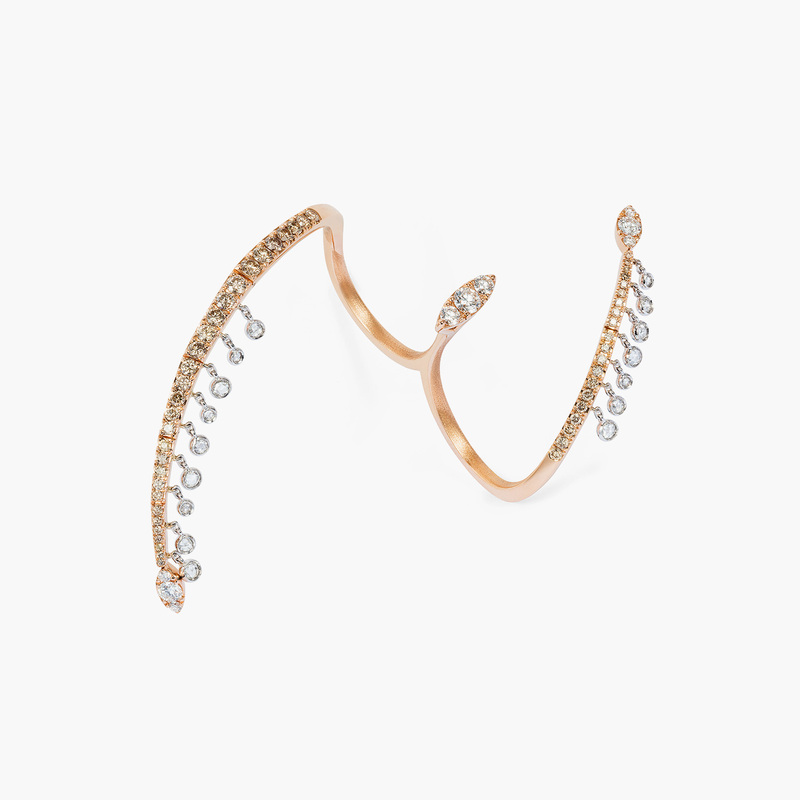 While soft and delicate, they are also exciting and daring. 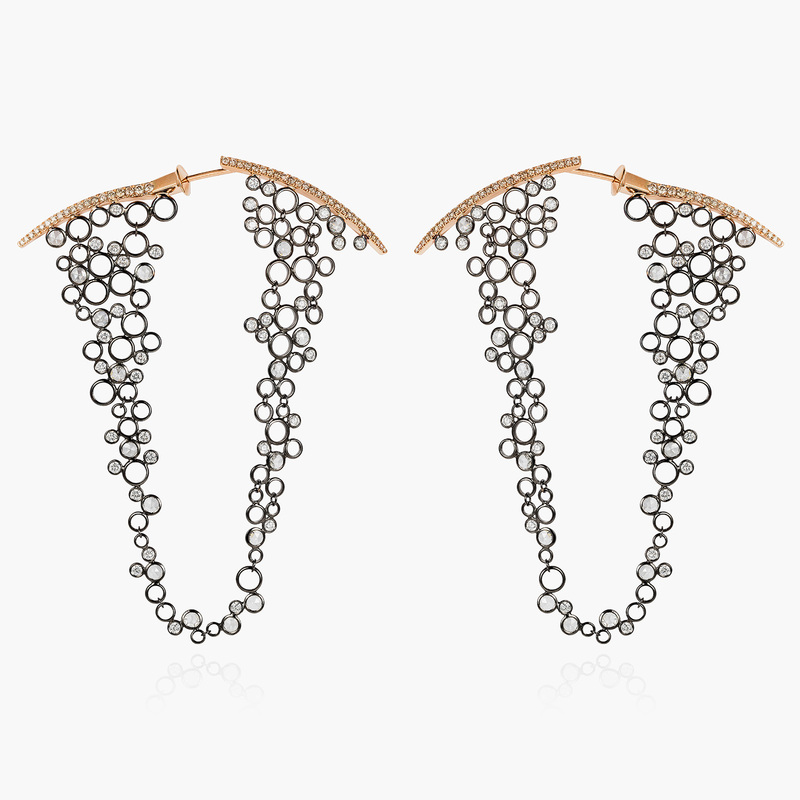 It’s no wonder they are a favorite Waterfall piece amongst those seeking edgy and chic pieces. 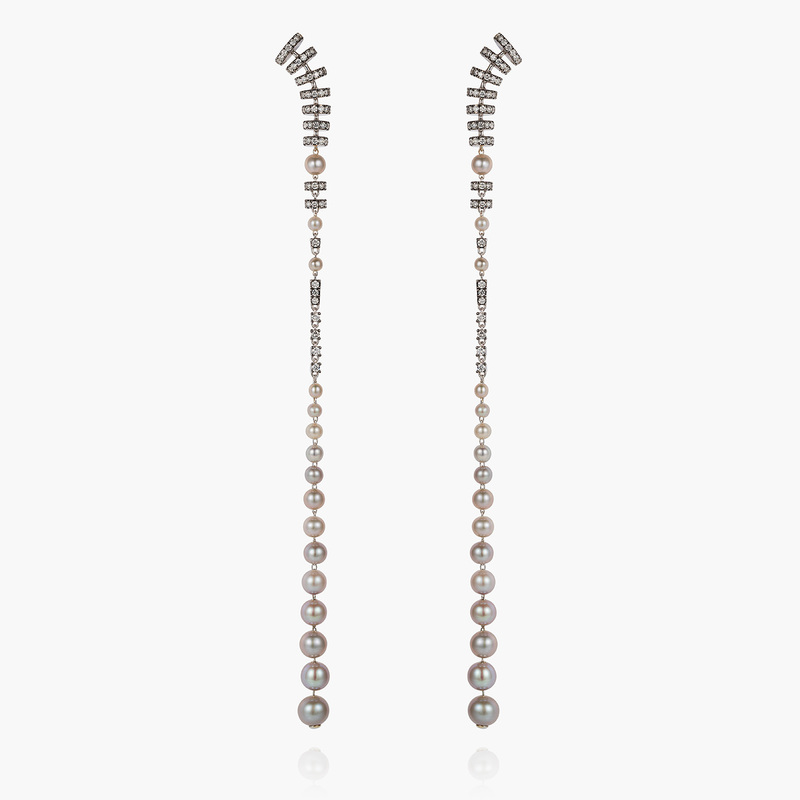 These earrings gather with three white diamonds ceiled in the oval stud of the earring hinging itself lightly, and glistening down the ear through a brown diamond encrusted band. 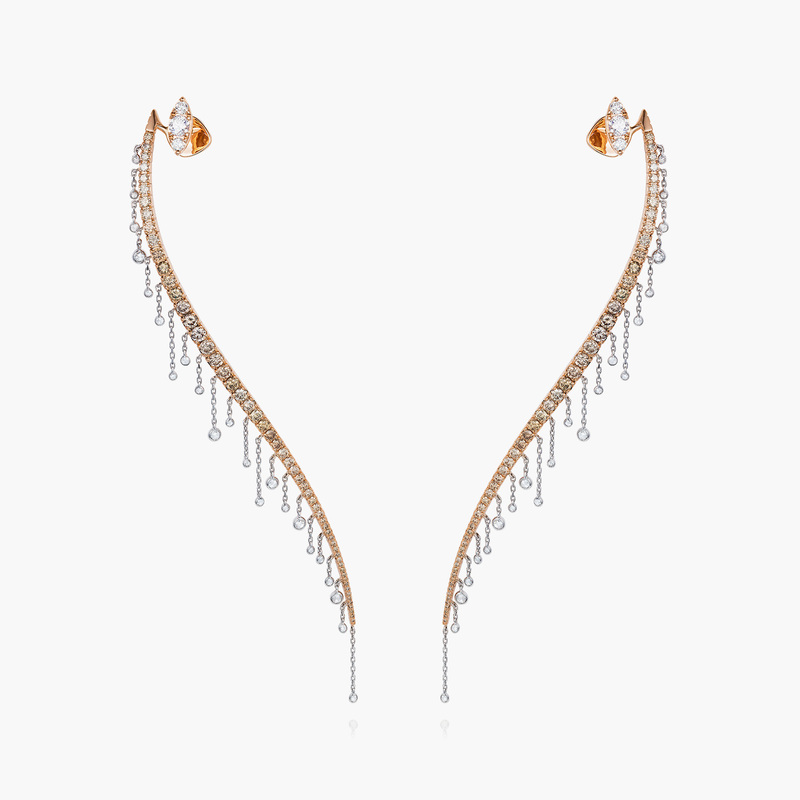 While the white diamond drops effortlessly dangle towards the tips of the ear and evoke the sense of water glistening in the sun.